• Ph. D, Osmania University, Dept. of Business Mgt. Hyderabad. • Indian Society for Training and Development (I.S.T.D) New Delhi. • M.S.W Madras School of Social Work, Madras University. Specialization – “PM & IR, & Labour Welfare”. • Trained by the British Psychological Society on Assessment: Occupational and Personality Dubai, completed Level – A. • Professor (OB – Area) - XLRI since March 1998. Besides, looked after the Admissions as Admissions Coordinator for two years since 1998 & in 2002 – 2003. • Director Corporate Learning Centre and Fellow Program Coordinator- Academy of Human Resources Development, Hyderabad (1996 – 1998). Major activities managing the Fellow Program that was offered in collaboration with XLRI, Jamshedpur, and designing, organizing, facilitating training programs for client organizations, rendering consultancy services. • Practiced Consultancy independently under the banner “Loyola Consultants” - Consultant and Trainer (1994 - 1996) - Designing, organizing, facilitating training programmes for client organizations, undertaking consultancy studies & services. • Assistant Professor and Research Fellow - Centre for Organization Development, Hyderabad (87 – 94). Designing, organizing, facilitating training Progs. for client organizations, undertaking consultancy services. Besides, as Research Fellow, pursued Ph.D in Osmania University. • Asst. 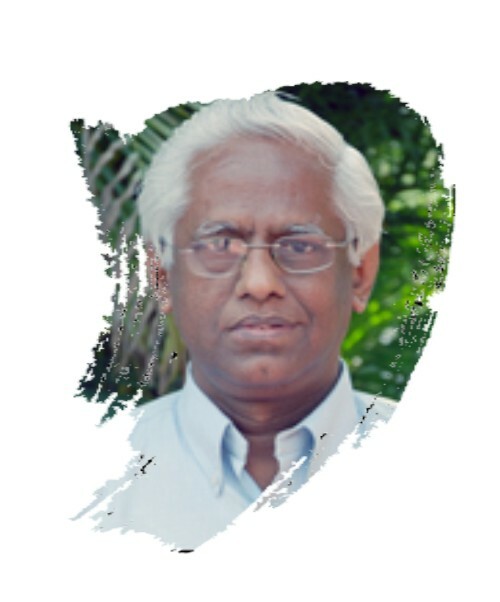 Professor, Social Work, Loyola College, Madras	1980 to 1987. Teaching PG students- OB, Group Dynamics, Social Action, Labour Welfare and guiding in research & field works. • Goa Institute of Management, Goa. • Xavier Institute of Management, Bhubaneswar. • Member of the Board of Governors, XLRI between August 2006 and September 2010. • Member in ICFAI University Jharkhand Research Advisory Committee for Ph. D in Management Programme, since 11 July, 2011. • Asia Pacific Business Review (ABR) Referee. Asia Pacific Institute of Management, New Delhi—110025. • Member of the Editorial Board of HR Journal "OPUS:Organization People and Us", Symbiosis Centre of Management and Human Resource Development (SCMHRD) a constituent of Symbiosis international Deemed University. • Member Academic Advisory Board of Jyotirmoy School of Business, Kolkatta. 18 November 2010. • Had been Member Academic Committee, Great Lakes Institute (GLIM), Chennai. Designed and Facilitated Management Development programmes for the following companies. • Principal Consultant for facilitating a workshop on “Developing Vision, Mission and Values in CENDRET, XIM-B, Bhubaneswar. This exercise was preceded by two workshops on “Team Building and Conflict Management”. • Principal Consultant for the project on " Employee Satisfaction Survey" Gati Corporation, Hyderabad. • Principal Consultant for an ODA (Overseas Development Authority) Andhra Pradesh School Health Project: "An HRD Assignment on Job Description, Job Specification, Skill Audit and Framework Criteria for Selection" Hyderabad. The project involved evaluation of Primary Health Care Projects and redefining roles and responsibilities of the top management in the reorganized set up. • Project leader for the project on Building Competence for Role Performance: A Study on the Training Needs of IPS officers. This project was sponsored by the Ministry of Home Affairs and was jointly undertaken with SVP National Police Academy, Hyderabad. • Carried out a consultancy study on Dalmia (Bharat) Cement Ltd.. Based on the findings a case-let was prepared to facilitate the top management workshop. • Carried out a survey on "Shared Values of the Top Management of BEL". Subsequently , together with Dr. B.L. Maheshwari, Director of C.O.D, facilitated a three-day Workshop organized for the top executives of BEL at Hyderabad .